Adda52 is well known gaming website in India with its mantra Go Play which brings out many interesting online games including various car games and online Multi-Player Games and Tournaments. Lately the legendary West Indies cricketer Chris Gayle has signed up with this online poker website and is now its new brand ambassador. As Adda52’s mascot, Gayle will be promoting the online poker website through various media and offline channels, including on social media. According to Mohit Agarwal, co-founder of Adda52 they are excited to have Chris as their brand ambassador as this will go a long way in improving the awareness of their brand and the game overall. Moreover, this will also help the people relate more with poker and re-emphasize the fact that Poker is a skill based game which offers fun & thrill at the same time. He said that they are the poker pioneers in India and look forward to many more users on Adda52’s award-winning platform. With the rising popularity of online gaming, especially poker, this association will strengthen the bond between the user and the brand. 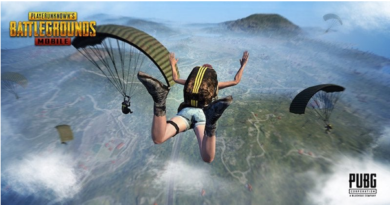 “All the ingredients of explosive growth in gaming are present in the country – be it the demographics, the internet penetration or the smartphone penetration. The digital payment infrastructure in the country is superb. 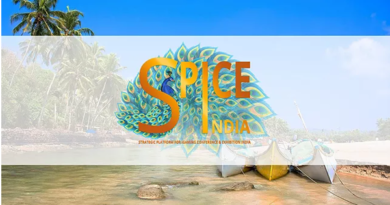 Once the advertising framework for real money gaming matures, the business should see significant growth,” added Mohit Agarwal, Cofounder Adda52. Gayle, who is known to be one of the most colourful and popular cricketers, plays in the Kings XI Punjab franchisee in the Indian Premier League (IPL). He is an avid poker player and recently participated in the Deltin Poker Tournament (DPT) Colossus High Roller Poker tournament in April, 2018. As per of his association with Adda52, it is understood that Gayle will also be participating in future editions of DPT in Goa. He will also be promoting Delta Corp’s new fantasy sports platform, LeagueAdda. Adda 52 has many online poker popular variants to play and win like Texas Hold’em, Pot Limit Omaha and Omaha Hi-Lo which you can play with Freeroll as well real cash. You can play Sit & Go (SNG) as well as Ring Games. 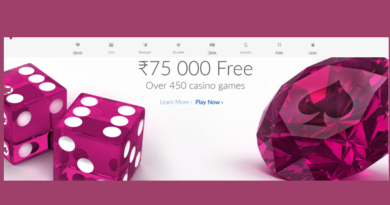 The main highlight of Adda52.com is that the players can play both practice games as well as Real Cash Games where they get a chance to win real money. 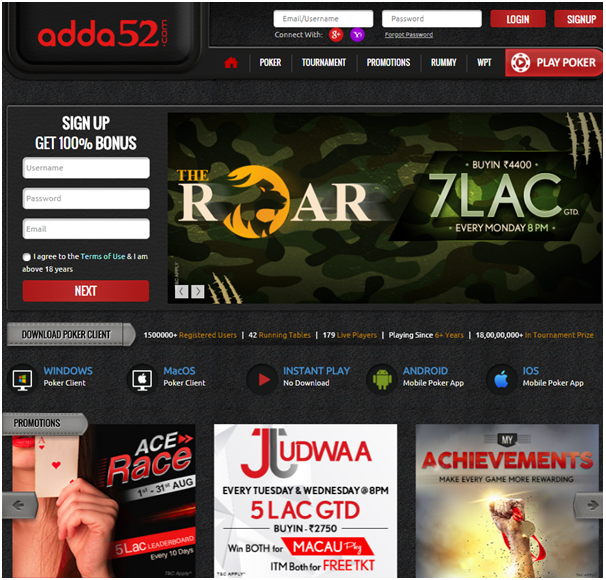 Adda52.com also organises various online Texas Holdem Poker Tournaments across the year. 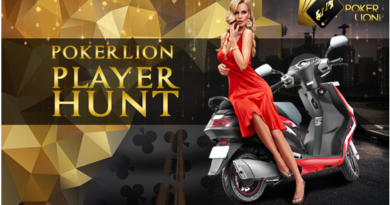 One such example is “Freeroll Poker Tournament” where players can play without making a deposit but win fabulous prizes like iPads, Led TVs, Daily Cash Prizes and lots more. This online site offers a wide variety of deposit methods using credit cards, debit cards, Net Banking etc. All their payment methods are highly user-friendly, efficient, and completely secure. 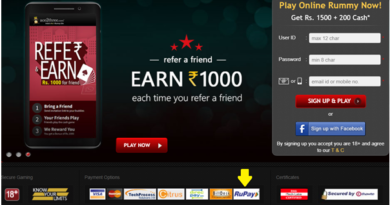 Once you make a payment through any payment method, you shall be able to play their exciting cash games.